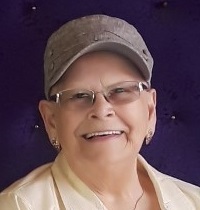 Patricia Ann (Cornman) Stitt, 80, of Bonneau, SC, formerly of Kittanning, died Wednesday, February 6, 2019 at Trident Medical Center in Charleston, SC. Pat was born May 4, 1938, in Mosgrove, PA, a daughter of the late Ernest "Red" Cornman and Mary Jane (John) Cornman. She formerly worked as a cook at the Steak House and at Indiana University of Pennsylvania campus. She was a member of the Berkeley Shrine Club Ladies Auxiliary, and she enjoyed line dancing with the ladies at the Bonneau Civic Club. Pat liked baking, musicals, and traveling to Maggie Valley and Cherokee. But most of all, she loved spending time with her family, especially her grandchildren and great grandchildren. In addition to her parents, Pat was preceded in death by a son, Jeffrey Stitt; two sisters, Melody Sue Cornman and Jo Ellen Cornman; and four brothers, Tom, Ernie, Charles, and Bo Cornman. Surviving are her husband, Russell D. Stitt, Jr.; three daughters, Faith Stitt, Laurie Julius and her husband, Larry, and Dawn Zimmerman and her husband, Terry, all of Kittanning, PA; three sons, Douglas Stitt and his wife, Sue, Dennis Stitt and his wife, Missy, and Todd Stitt and his wife, Lisa, all of Kittanning, PA; six sisters, Nancy Slagle of Fairmont City, PA, Eva Steffey of Kittanning, Jean Chestnut of Ford Cliff, PA, Diana Motto of East Stroudsburg, PA, Janice Rodgers of Butler, PA, and Anita Heckman of Navarre, FL; two brothers, Jack Cornman and Dwayne Cornman both of Kittanning; nine grandchildren, Jesse Bure and his wife, Amanda, Heather Stitt and her companion, Robert Kennedy, Bryan Stitt and his wife, Heather, Val Birch, Dana Reesman and her husband, Rob, Joshua Julius and his wife, Julie, Ashleah Firment and her husband, Vic, Lynzee Stitt, and Gretchen Zimmerman-Dunnett and her husband, Heath; and twenty-one great grandchildren. Friends will be received Monday, February 11, 2019 from 1-3 pm and from 6-8 pm at the Snyder-Crissman Funeral Home in Kittanning.